Lady Bunny Blog: TELL IT, BERNIE! In other words, destroy other countries while the US is falling apart. 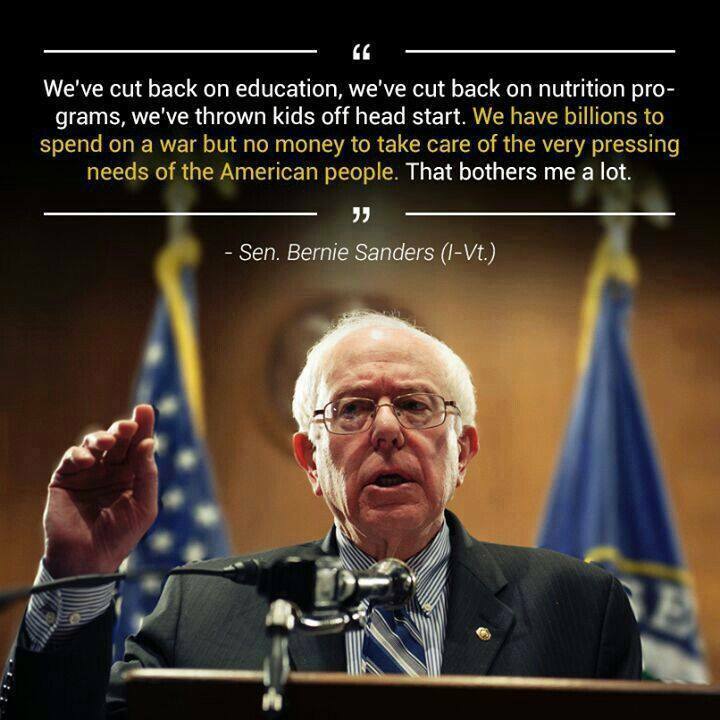 It takes an Independent like Bernie Sanders to say this. You won't hear it from republican politicians or even many democrats. They're all too busy cutting social services we desperately need in a recession to pay for weapons.